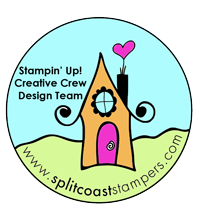 It's about time I show you a project from this month's Stamp Club! This is the scrapbook page we made. I just love the bright fun colors for this year's Sale-A-Bration kits! I used the Ice Cream Parlor DSP and Buttons to create the accents for this project. 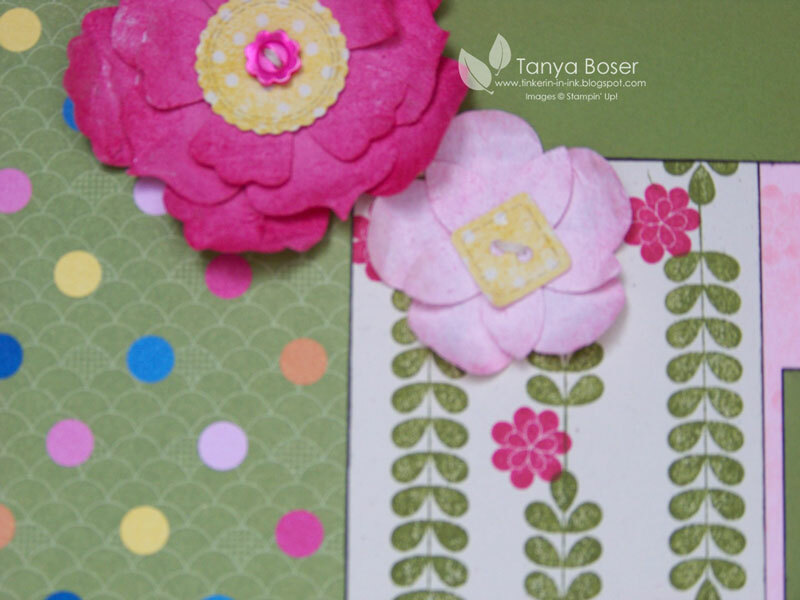 The journaling block was created with the biggest Fun Flower in the Faux Suede technique, sponged and shimmered. 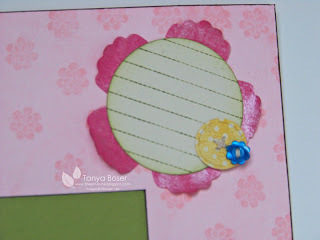 Then a 2½" circle punch stamped with the lines from Notes & Details. I also stapmed the little flower on the Pink Pirouette cardstock in coordinating ink. Fun page! I love these bright colors!! Wow awesome page!! I love the bright colors!! This girl is ready for winter to be over!! What a great page! I love the flowers with the felt technique -- they look so realistic! What a pretty page! Love your flowers! Perfect for spring! What a great page! 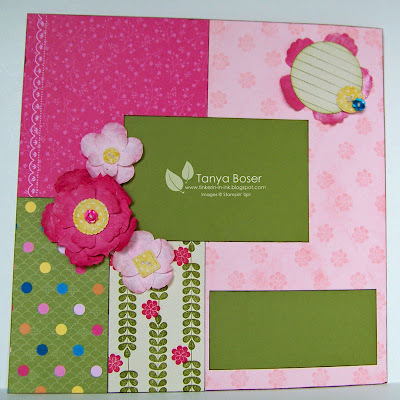 Love the colors, love the flowers, the journal block--it all!